Il s'agit d'une crème très efficace pour le prix! Je l'ai utilisé avec mes 2 enfants et je n'ai jamais eu de problème et il a tjs été efficace!agréablement surprise! 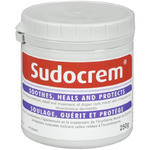 I purchased this based on the ingredients, after sudocrem did not work for my daughter. However I was disappointed it did not have a seal protecting the product from contaminants. The product in my jar was grity as oppose to smooth. Because there was no protective seal I ended up not using or trying the product but I do think the product would be effective. I ended up using another store brand product for similar price. Parents choice diaper rash cream is a hit with my baby. Just smear it on the rash and you can tell results the next day. This product is better than other brands. Very cost effective, too. Would recommend. This is a fairly good diaper rash cream. It's not too thick or too runny. It soteafs nicely so you don't have to mess around with it. And it's not expensive at all. The only diaper cream you need! Hands down the best of the best! Clears any rashes up in lightening speed. Works wonders and is amazing! Has the most zinc compared to some name brands. Been using for 14 years, highly recommend. This cream is amazing. My boy had a very bad rash and this cleared him up within three days. It goes on smoothly and it soothes the pain of the rash instantly. 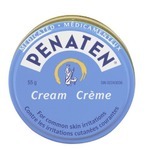 Great cream for diaper rashes and wonderful alternative to the usual over priced products available on shelves. The ingredients are the same but half the price! Great buy !